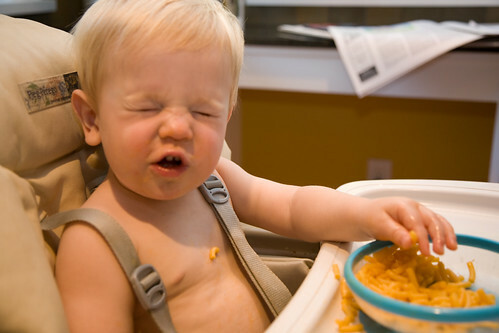 We fed Alex Kraft Macaroni & Cheese tonight. It was fun in so many ways. First, because I got to eat the extra. 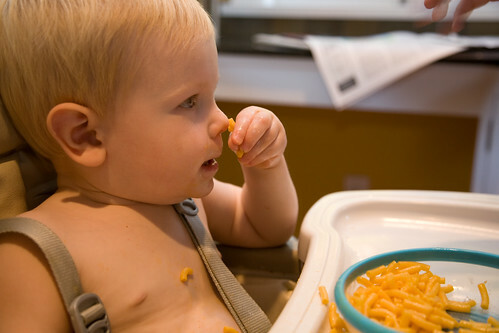 We never make Kraft Mac & Cheese for ourselves, so it was a great guilty pleasure. Second, when we got home from the grocery store, Molly took off Alex’s pullover fleece… and Alex insisted on taking his shirt off with it. There was nothing we could do to get that shirt back on. 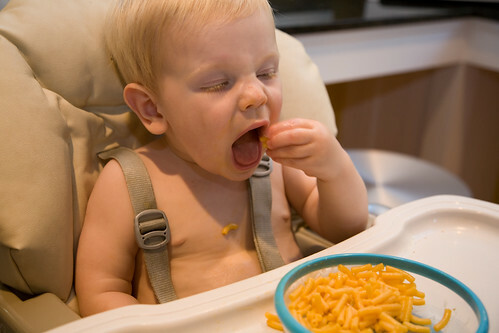 So when dinnertime rolled around, Alex ate with his shirt off. 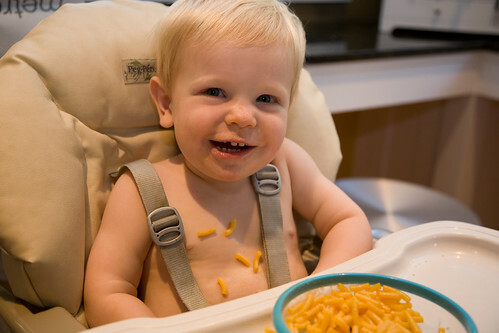 In hindsight, looking at the amount of Mac & Cheese on his chest, it’s as well that he didn’t have a shirt on. I’m sure you can understand why I had to pull the camera out for this feeding.